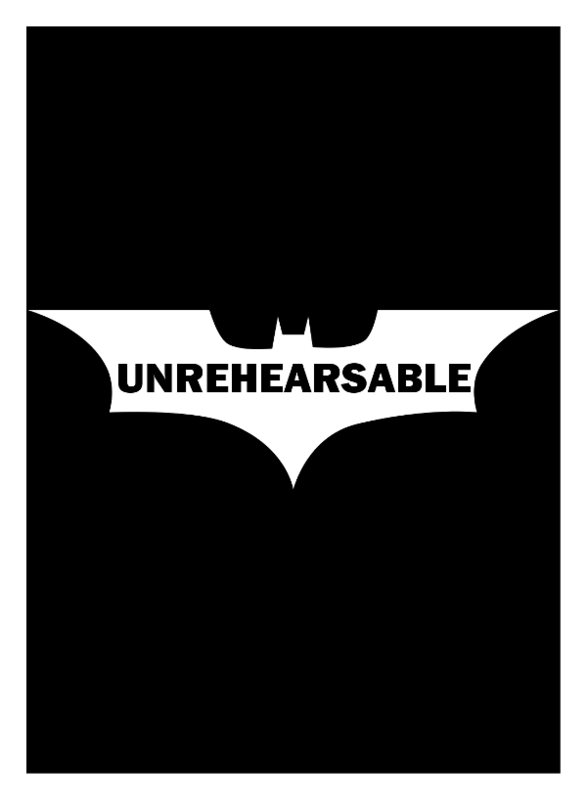 Unrehearsable #29 | DC2: New Adventures of DC's Heroes! Bruno Mannheim had many irons in the fire. As the leader of Intergang, he oversaw activity in Metropolis, New York City, much of New Jersey, and Illinois. Until its destruction in a Chemo attack, he had also maintained a small but active cabal in Bludhaven. Gotham was on his radar, although the local vigilantes had been putting obstacles in his way for the better part of the decade he’d had his sights set on the city. He was just happy that in Metropolis, Superman tended to deal more with meta-powered threats. Sure, they’d crossed paths with the Blue Boy Scout—Darkseid had bankrolled them for a while and Mother Box technology had garnered the Man of Steel’s attention on more than one occasion. However, since they’d begun sticking to street level tactics and more conventional weaponry, Superman tended to take a step back and let the police handle things. That suited Mannheim fine. He owned several officers in key positions and knew that he could easily acquire several others for the right price. When it came to Gotham, though, the active vigilantes considered organizations such as Intergang and the 100 to be primary targets. As such, his inroads in that territory had been negligible. That was the only reason that he bothered responding to the message he received from the kid his brother had suggested he send out on reconnaissance and hadn’t heard from in over three months. The silence hadn’t been surprising. He’d specifically told the kid not to bother checking in unless he had something worth reporting. He’d thought it would get the guy out of his hair; he distrusted overeager, overambitious tyros. He distrusted seasoned lieutenants too, but at least he knew them well enough to predict their tactics. “Doctor Thomas Elliot?” Mannheim’s ears pricked up but he kept his voice neutral. “I know of him.” He’d considered recruiting him, in fact, but he was waiting to see whether the doctor was back in the game after over two years in Arkham. There was no point in making overtures to a washed-up has-been until he’d demonstrated that he was as capable as ever. The Class D uniform had a utility belt. It was nowhere near as well-equipped as the model that Bruce was used to, but the idea was certainly familiar. Instead of a batarang pouch, the Class D belt sported a magazine pouch. It bothered Bruce that he no longer flinched when he thought about that. Where he would have carried his grappling line, there was a baton ring. Next came the chemical agents: mace and pepper spray. He rarely carried those, but his knockout sprays were usually on the other side of the belt. He considered that when he returned to the cowl, he might find it easier to change that. The next item was the one he really hated: the holster. The handcuff key and cuffs completed the array. He’d made the switch to zip-ties a few years ago, but when he’d carried cuffs, they’d hung on his old belt in a position rather close to where they hung now. So much was similar, he mused, but too much was different. A whistle blast from Farnham broke into his reverie. Together with the rest of his class, he broke into a run across the field to the firing range, found an empty target, and discharged his pistol. Around him, most of his classmates followed suit. Unfortunately, Laramie’s boot came down on a patch of slick mud and he slipped, landing on his hands and shins. There was some muffled laughter. “Get up and find your target, Cadet! We don’t have all day,” Farnham bellowed. When all guns had been discharged, Farnham collected the paper targets and handed them back to the cadets, one by one. “Not bad, Cadet,” Farnham rumbled as he handed Bruce’s back. Bruce clenched his teeth. Twelve shots had found their mark. Three were close. “Thank you, Sir,” he managed hollowly, feeling for a moment as though he would vomit. The moment passed. The sick feeling in his stomach persisted. It didn’t get better when they returned to the locker room to change for parade drills. Most of the others avoided him pointedly, gathering in small knots in different corners of the room. Again, they murmured about Jandt and the inquiry. Blank looks and denials greeted the question. Bruce fought not to react as a wave of laughter crashed over the locker room. He was glad that he had his back to them, even as his hands involuntarily curled into fists. “Knock it off,” Brenner said in a low tone. “Excuse me?” Laramie swung over in the other cadet’s direction. “Whether Jandt gets expelled isn’t Wayne’s call,” Kotsopoulos spoke up. “That’s not fair!” Norton broke in. There were murmurs of agreement and a few muffled “Yeah”s. “Like we’re all supposed to,” Norton interrupted. Bruce checked the clock. They had less than five minutes before the next class started. More than anything, he wanted to make one of his patented disappearances while the others were distracted. Still, something made him say, “Four minutes,” without turning around. Bruce ignored the jab and headed for the exit. Norton fell into step behind him. “Jerks,” he muttered. Bruce sighed. “You’re not doing yourself any favors interfering,” he pointed out. “Ehhh...” Norton shrugged. “They’ve been ribbing me since day one when I messed up in front of Calhoun. If I’m damned whatever I do, I might as well do what’s right. I mean...” His face reddened and he broke into a quick trot, pulling a few paces ahead of Bruce. Bruce let him, even as a smile ghosted across his face. Red-faced, Parsons acknowledged the command and did her best to pull her mare back in line with the other mounts. Once they had completed a full circuit of the dressage ring in perfect synchronization, the captain blew his whistle. Bruce nudged Shilling into a trot, cutting across the ring to head off Brenner and Taupe. Moving closer to intercept, he relied on the press of his calf and the shifting of his body weight to urge Shilling forward. With little maneuvering room, Taupe slowed to a trot, leaving Brenner bouncing painfully on her back. Bruce drew up alongside and caught hold of Taupe’s bridle. “Whoa,” he ordered, bringing both horses to a halt. Bruce released Taupe’s bridle. “We’ll work on this later,” he said. When Bruce didn’t respond to her text message after twenty-four hours, Barbara called the manor directly. She knew that Bruce was still at the academy, but Selina needed to know the situation as well. She hung up with a sigh. She knew that her father wasn’t tied to the manor grounds. In fact, now that she remembered, today was one of his swimming days at the Y. Everything was probably fine. At least, for now. Shilling snorted and tossed his head. Bruce allowed himself a smile as he took the reins up once more and walked the horse slowly around the dressage ring. “Just keep moving, boy,” he added, noting with satisfaction that Brenner was doing the same, several yards ahead. “Is this where you’re hanging out, these days, Wayne?” a familiar voice asked. Bruce glanced over his shoulder to find Luisa Ortega leaning against the fence. She was wrinkling her nose a bit and Bruce realized that the wind was blowing over her from the direction of the stables. Bruce waited for her to continue. Bruce raised an eyebrow and asked himself how many more times Ortega was planning to wonder before she got to the point. It was nearly time to start the additional drills. He called a warning to Brenner, who waved acknowledgment. Bruce held up a hand. “You can stop wondering,” he said flatly. Bruce was glad that it was only a short drive from the academy to the manor. Although the road was generally smooth, with the winter snows melting and the natural erosion, early spring frequently brought with it a new crop of potholes. After having spent nearly two hours on horseback, Bruce could feel every one of them. It didn’t matter that he was in better physical shape now than he’d been in years. The muscles he needed for riding weren’t the same that he needed for combat. He was beginning to wish for a car without a driver’s seat. The drive home wouldn’t be nearly as painful if he could stand up. He cracked open the window to allow a bit of the night air inside. Soon, he told himself, he’d be out there again, making a difference. And he wouldn’t need to be stuck in a car either, particularly not in the city. It had been too long since his last leap from the top of the One Gotham Center. At 110 stories and standing 1,368 feet high, it was the tallest building in the city, overshadowing Wayne Tower by more than 300 feet. The cornices jutted out gracefully over the street below. If he wasn’t on a case and the signal wasn’t up, Bruce usually preferred to start his patrol standing on the northern wall of the building, between the two central gargoyles. With no pressing business at hand, he had the luxury of closing his eyes and letting himself feel at one with his city. Its pulse became his pulse; its heartbeat, his. He’d stand like a high diver, the toes of his boots hanging just over the edge, as he waited for the moment when all felt right. Then he’d ready his grapnel and leap. The exhilaration of those first seconds of freefall never got old. If it did, perhaps it would be time to think about retirement, but it never did. At the right moment, he’d release the grapnel, letting it loop around a vertical flagpole and then he’d swing out, to land on a rooftop several yards away. The city was a jungle, but at night, he was a lion. And he would protect his territory with his life. Despite his aching muscles, Bruce smiled. It wouldn’t be much longer. Barbara tried not to gush, but she was fighting a losing battle. She’d never thought that Cass wanted a social life outside of the family, but she should have. It was just that Cass was usually as driven as Bruce and between patrol and study, Barbara hadn’t thought that she even noticed anything that wasn’t part of either mission. Barbara hesitated. “Well, it’s a bit casual,” she pointed out. Lester Paxton left his lawyer’s office in a worse mood than he’d entered it. Cliff Maxwell had not been encouraging. Paxton glowered. He hadn’t spoken to Chester since the night that everything had started to go sour. As Barbara explained, Selina began to swear. “What are my options?” she demanded when she’d finished. Selina was already shaking her head, even though she knew it was pointless when Barbara couldn’t see it. “I can’t live like that,” she said. “I do,” Barbara replied heavily. There was a note from Vivi on the mantelpiece in the study when Paxton got home. There was an emergency meeting of the ladies’ auxiliary at church and she didn’t know when she’d be back. Paxton frowned, wondering what kind of emergency there could possibly be. He tried to remember the last time they’d sat down and really talked about what was going on. They used to talk once, he recalled. But since his arrest, Vivi seemed to be spending more and more time out of the house. It was Thackeray’s day off, not that he would have confided his concerns to the butler. Not that the butler would have cared. He opened his desk drawer and took out the tobacco tin. He removed the lid and set the tin on his desk, allowing the aroma to permeate. “What do you want?” Paxton demanded. At 5:00 that afternoon, Barbara was following up on a data search for the JSA. The radio was on the local pop-rock station, providing some background music. A chime announced the hour. Barbara turned off the radio abruptly. There had to be dozens of medical offices in the East End. There had to be thousands of cars. She repeated those sentences over and over in her head as she hit the speed-dial for Selina’s cell phone.